Now and then, we see a prominent brand achieve some intense publicity, as a result of a single social media comment. In a perfect world, these would always be the brainchild of some incredibly astute PR professional, leveraging an opportunity to play on the positive emotions of a massive audience. All too often, though, it’s the result of some in-house intern that decides that there’s hay to be made in any situation. So he/she posts a special on sponges, mentioning the victims of recent flooding, or some equally brain-dead effort to capitalize on the visibility of some tragedy. It’s called SMS… Social Media Suicide. [insert Brand here]! pages on Facebook, circulating petitions and generally acting out on their dismay of such unfeeling statements from a brand whose praises they may have been singing just a week before. This is the stuff nightmares are made of. Sales can plummet overnight, hate mail, sometimes even including threats, can swamp the corporate mailroom and heads can roll. Quite often, the individual responsible for the poorly thought-out comment can find themselves suddenly unemployed, or at the very least, relieved of their position as de facto spokesperson. How should the brand respond? First of all, I disagree with those that suggest a minimalist response. When you’ve obviously put your foot in it, the best thing is to own it. It doesn’t matter if the person responsible for the comment was a low-level intern or the CEO… to the public, it’s the same. It was the Brand that made the comment, in their eyes. So I think full frontal acceptance of responsibility on the brand’s part is essential. When things like this happen, public trust in the brand is the first casualty, and the first steps in rebuilding trust are honesty and acceptance of responsibility. Publicly acknowledge the unfortunate nature of the comment or action, only gently pointing out that it was unintended. Don’t play too heavily on that aspect, at least not initially. 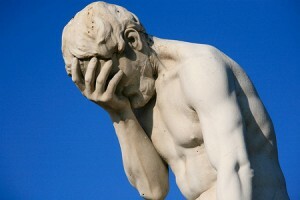 Then say what you intend to do to make things right – AND to ensure it can never happen again. “Making things right” isn’t always possible, and certainly isn’t always easy. If someone was hurt by the action, though, then an honest effort should be made. First, it’s the right thing to do. Second, it’s an important part of the process of rebuilding trust in your brand. At the very least, a sincere apology should be offered to any and all affected parties and to the public. They can happen in many ways. Sometimes a disgruntled employee with account access does it, sometimes it just comes from someone with incredibly poor judgment. 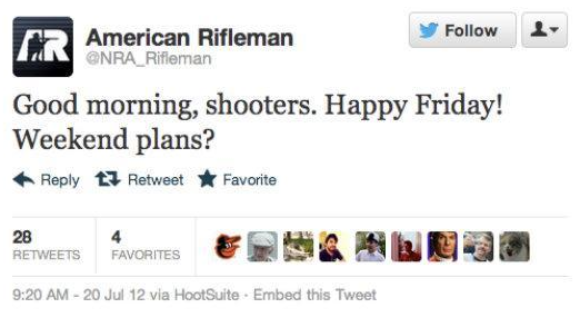 Other times, it may be purely coincidental, such as appears to have been the case in the case of the American Rifleman tweet during the Aurora, CO shootings. Apparently, their innocuous tweet was pre-scheduled, but timing was their downfall. In a situation like that, it’s not realistic to try to lay the blame at anyone’s feet. But again, in the public’s eyes, @NRA_Rifleman was crass and unfeeling. It’s not uncommon for people that manage several social media accounts to inadvertently post something from the wrong account – I’ve come close to doing it myself. 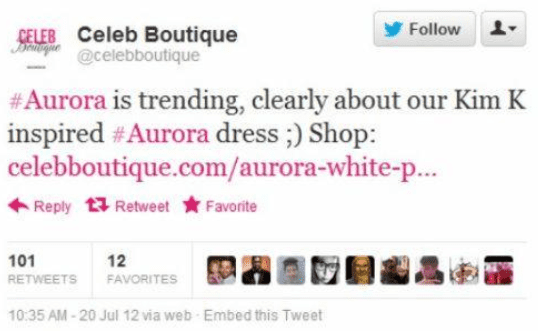 @celebbotique stepped in it, too, by spotting a trending topic and tweeting with its hashtag, without checking to see why it was trending. As you can imagine, this kicked off a storm of negativity for them. There are a number of different ways that this sort of social media suicide can occur. Fortunately, there are also a number of ways it can be avoided. Before starting, you need to choose the voice of your brand. Depending upon the nature of your business and your audience, you might select serious, quirky, snarky, funny, friendly or any other sort of “personality” you want your company SM presence to convey. This deals with aspects such as: how often to post and on what channels; when to reciprocate when followed, friended or liked; what sort of ratio to follow, in terms of tweets vs. retweets; what niche(s) to concentrate on, compliance with TOS and copyright requirements, etc. This will address such things as: how to respond to negative comments; what sort of issues should be escalated and to whom; how to get approval for special promotional posts, etc. This deals primarily with selecting the right people to administer your social media efforts. It needs to be someone that has a reasonable understanding of how to interact with your audience, someone that will think about the potential consequences before taking action and someone that is able to communicate well, in accordance with the voice you’ve selected. Ongoing communication between you and the person(s) involved in handling your SM accounts is crucial to an effective effort. They need to be aware of any upcoming promotions or news that should be shared with your audience, just as you need to be kept informed of any trends or opportunities that might affect your business decisions. If there’s a team of people handling your accounts, they should also monitor each others’ postings, as that’s helpful in maintaining a consistent voice across platforms. In some instances, such as in a fiercely competitive niche or immediately following any sort of negative press aimed at your brand, you may even want to have a second set of eyes on every post before publishing. I haven’t seen many situations where I thought this was necessary, frankly. My feeling is that if you feel you need to second guess the person posting on your company’s behalf, you have the wrong person doing it. In today’s market, many businesses do most, if not all, their interacting with customers online. And social media is an increasingly large portion of that interaction. Don’t trust it to the first employee you see that seems to have some extra time on their hands, or to the lowest priced agency you can find. 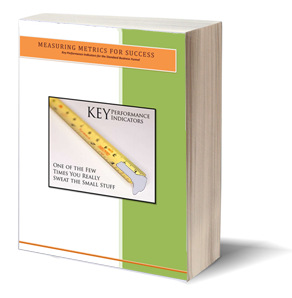 Your online reputation is too important to your business for you to cut corners. Don’t commit social media suicide.